TransDevelopment provided turnkey Development Management services for one of Mexico’s premier logistics centers: the Celaya Intermodal & Automotive Gateway. The terminal was built to support Honda’s second Mexican assembly plant. Celaya lies at the intersection of Mexico’s two largest railroads—the KCSM and Ferromex. 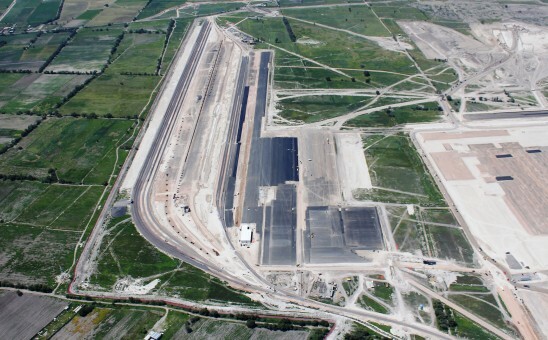 The Mexican government is sponsoring a project to relocate both rail lines around the city of Celaya, thereby providing dual-mainline access to Celaya terminal and Honda plant. Prior to the Gateway project, TransDevelopment provided conceptual design services and corridor analysis for this bypass project. The 150-acre automobile terminal includes 96 multilevel loading positions on 4 tracks, with capacity for over 7,000 vehicles in the initial phase. The intermodal terminal includes 2,000 meters of working track, which are supported by rubber-tire gantry cranes. The project is master planned to more than double the rail capacity for both terminals. Within 9 months of the start of construction, the facility was usable by Honda for shipment of inbound finished vehicles produced in the United States. TransDevelopment completed conceptual and detailed design, engineering, and site development for the entire project, including site civil, drainage, electrical, rail, and pavement for the automotive and intermodal facilities. In addition, two vehicle underpasses were established under new railroad tracks to preserve access on local surface roads.